The Stars, the Sun, the Moon and constellations, I have been more than Moon obsessed lately. Just short of howling I like to look up and wander off in the sky. 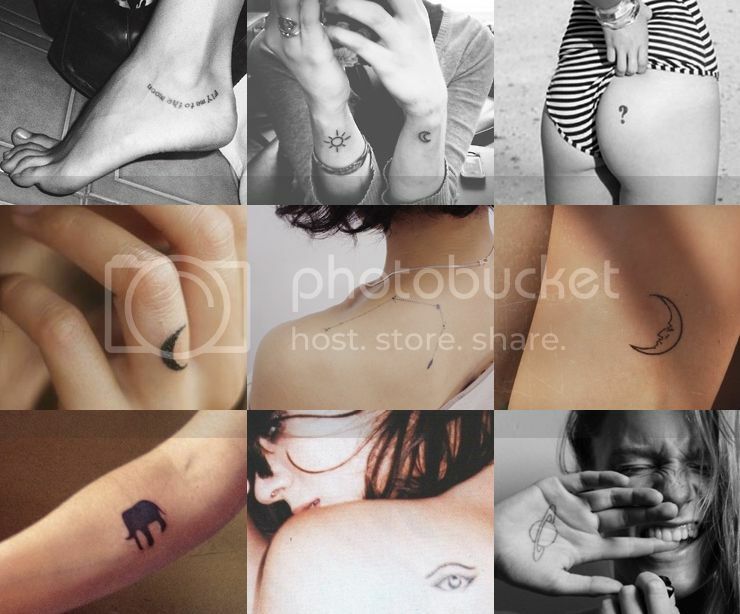 After my earlier Tattoo inspiration boards here and here (and of course the Top 10 Fashion Blogger Tattoos) I collected my favorite Moon and slightly Mystical inspired tattoos. DIY Hearts and Stars inspired by the Citroën DS3 Fab. mmm, tempted to get another one. These are some awesome tattoos! I love how subtle they are. Tattoos are so cool, would love to have one (I already know exactly what I want) but I just don’t do it because ut is permanent.. I don’t want to wake up one day regretting that I had one, on the other hand, I don’t want to regret not having this meaningfull tattoo! Such a hard decision! Woah I like the eye. Kind creepy but pretty cool. These are my favorite kinds of tattoos, beautiful and simple! Oh wauw, ik vind de 5e echt heel geniaal. Super origineel en prachtig subtiel! I love the eye tattoo! Ik hou echt van die kleine tatttoo’s! the tattoo on the shoulder ist perfect! !